Recently we wrote a very detailed post, explaining how users will be able to interact with businesses, including a lot of information about how the business app will be structured. With the release of the 2.17.285 update, finally we know something of more about how the user can view a business account in WhatsApp, and what information are available. Two days ago, WhatsApp updated their servers, improving the synchronization of your contacts’ numbers. This improvement finally checks if a contact is verified by WhatsApp, that is if it’s a business contact: in this case, all details of the contact are saved in the database, so WhatsApp won’t download them again in future. Seen that WhatsApp has an official business account (that’s not natively visible yet), we can take advantage of this, checking what data are saved for the WhatsApp official contact. Thanks to this screenshot, we can understand that the new “Business Info” section will contain information like the address of the business, the real name of the business, the mail address of the business and its website. Note that you can also mute a business chat. If the business has an Instagram account, this will be added in its Business Info, if the Business sent this info to WhatsApp. Probably other social networks will be added later, like Facebook. A business account can have also many websites. In that case, there will be a Show more button to read all details of the Business, including Working hours and the business category. Thanks to this new synchronization managed by the server, called uni-sync, we can understand that we are really very close to the public announcement of the business accounts and application, that should be within 4 months. 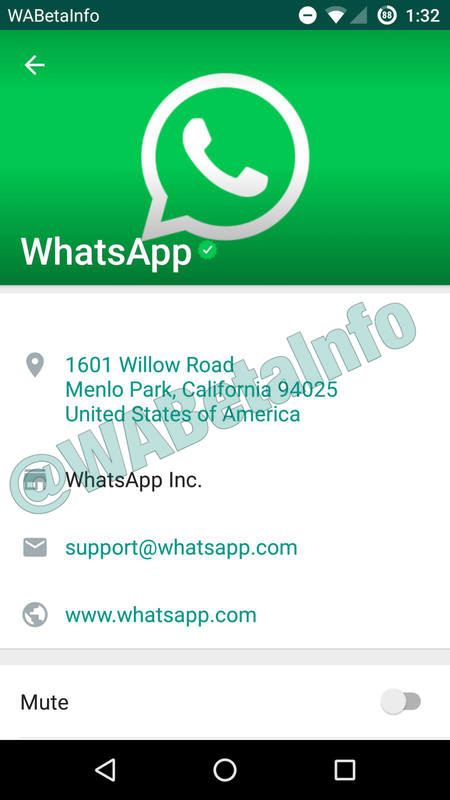 Previous PostPrevious WhatsApp beta for Android 2.17.285: what’s new? 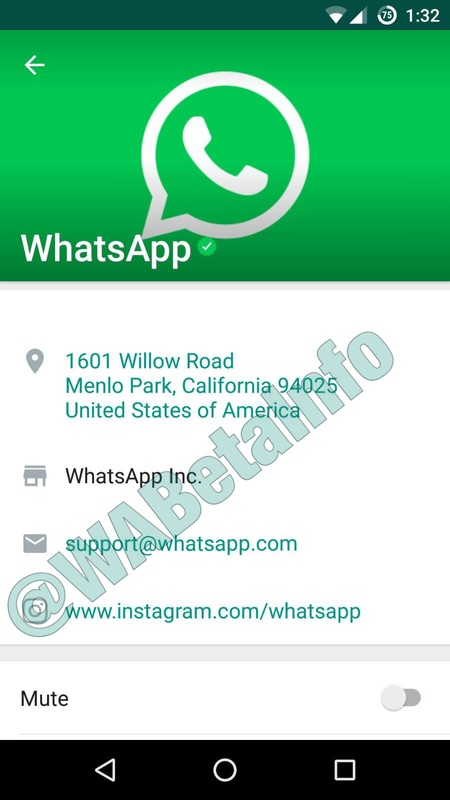 Next PostNext WhatsApp beta for Android 2.17.295: what’s new?